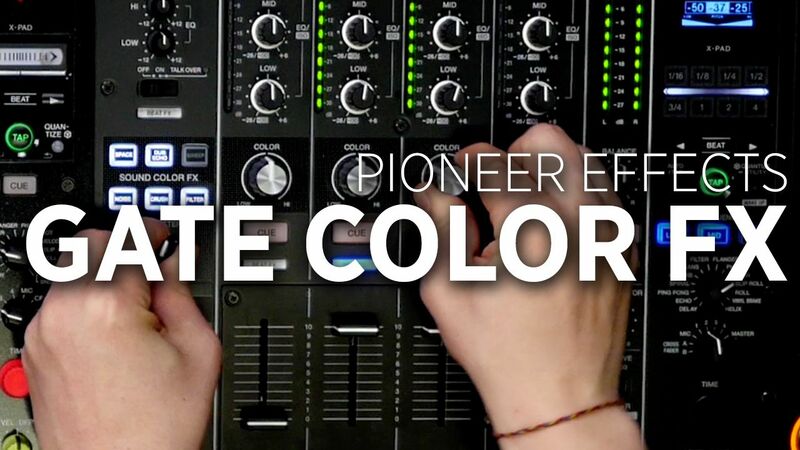 On newer models of Pioneer DJ’s mixers, there’s a powerful Gate Color FX that allows the DJ to remove part of the signal coming based on volume. See how the gate effect can be used for mixing two tracks together, and why additional functionality on the DJM-900NXS2 makes it even more dynamic than before in this new video. This technique works really well when you want to be able to cut a song down to its barebones beat, and really lends itself to long form mixes. To get the most out of it, also consider throwing on a second layer of effects to the gated channel (the Beat FX are always post-Color FX in the signal chain, so reverbs/echos/etc work well).